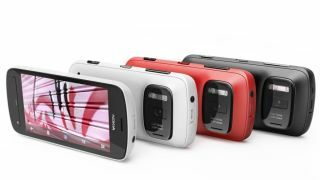 The Nokia EOS could be finally landing on July 9 according to a new release date rumour, and it should come packing that 41-megapixel sensor that Nokia 808 PureView owners have been enjoying for some time. According to a source speaking to Mobile Geeks the launch date will be during the second week of July, most like on July 9. Unlike the 808 PureView though, this will be a Windows Phone 8-running cellular. Previous leaks have suggested the EOS will boast a quad-core processor, 4.5-inch 1280 x 768 resolution screen, and a new app called "Nokia Pro Camera" which brings a load of more advanced features including manual focus. Of course, the big pull here will be the 41 megapixel rear snapper to accompany the new software, though it's reported that pics can only be taken at a maximum of 34 megapixel, just like the 808 PureView. As for video it'll shoot 1080p and 720p HD, or so says the source who claims to have had some hands-on time with the phone. According to other tidbits we've picked up previously the handset is much lighter than the Lumia 920, though similar in design, which is impressive considering the beefy camera specs. The rumoured EOS was expected to drop at the May 14 event, where we were instead treated to the Nokia 925.